Visiting Disney World has become a holiday tradition for many families, and the theme park is pulling out all the stops in 2018 with an action-packed list of themed events and attractions. At Disney’s Hollywood Studios, Toy Story Land will be covered in holiday decorations, including sleigh bells on Slinky Dog Dash, holiday songs on the Alien Swirling Saucers and special attire for Buzz Lightyear, Woody and Jessie. Hollywood Studios will also host the Disney Junior Dance Party, which will debut on December 22 and feature Vampirina and Doc McStuffins. The park is also adding laser effects to the Sunset Seasons Greetings show at Hollywood Tower Hotel. 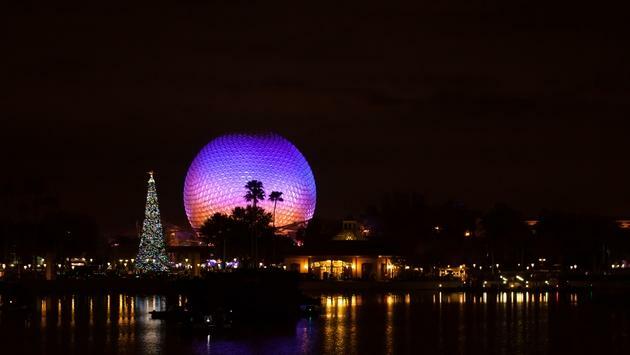 Guests visiting Epcot can indulge in the holiday cookie stroll, candlelight processionals featuring celebrity narrators, themed food at holiday kitchens and the final holiday season IllumiNations: Reflections of Earth nighttime spectacular. As for visitors to the Magic Kingdom, the theme park will offer new merchandise and collectibles at Mickey’s Very Merry Christmas Party, holiday music in Tomorrowland and Tony’s Most Merriest Town Square Party, with ticket prices including reserved viewing for Mickey’s Once Upon A Christmastime Parade. Travelers will be able to celebrate Diwali at Disney’s Animal Kingdom during the new live show UP! A Great Bird Adventure and will be able to walk down the Christmas Tree Trail at Disney Springs. With even more holiday options to choose from at every turn inside Disney World, there are few places on earth more suited for celebrating the holidays than the Orlando theme park.